Image: Chester Beatty (c) National Portrait Gallery. 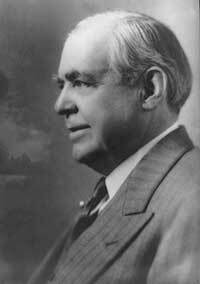 Sir Alfred Chester Beatty (1875-1968) was an enthusiastic collector of medieval manuscripts. Having made his fortune as a mining engineer in America, he moved to London in the second decade of the twentieth century where he began collecting manuscripts. Many of his earliest purchases were made from the famous Phillipps collection, and Chester Beatty knew and learned from some of the great collectors of the era, including Sydney Cockerell and Henry Yates Thompson. The economic crisis of the 1930s prompted Chester Beatty to sell some of his manuscripts, often at a loss, through sales at Sotheby’s in 1932 and 1933. However over the following decades he and his wife Edith continued to develop the collection, buying, selling and giving away books. In 1950 Chester Beatty moved to Dublin and began work on a library that would be open to the public. He declared ‘Dublin is most attractive and if the climate was better I would live there all the year’, but he continued to travel extensively. In the final years of his life Chester Beatty deliberated over which of his western manuscripts should remain permanently in the library he intended for the ‘use and enjoyment of the public’. Following Chester Beatty’s death in 1968, in accordance with his wishes, two more sales of western manuscripts were held at Sotheby’s (in 1968 and 1969), leaving only a small selection of these treasures in the Chester Beatty Library. Chester Beatty’s manuscripts are now to be found in collections around the world including The Walters Art Museum, Baltimore; Boston Public Library; The Fitzwilliam Museum, Cambridge; The Fondation Martin Bodmer, Cologny; The Houghton Library, Harvard; Museu Calouste Gulbenkian, Lisbon; The British Library, London; The J. Paul Getty Museum, Los Angeles; The John Rylands Library, Manchester; The Metropolitan Museum of Art, New York; New York Public Library; The Pierpont Morgan Library, New York; The Schøyen Collection, Oslo; Lincoln College, Oxford; The Bibliothèque nationale de France, Paris; Philadelphia Museum of Art; The Scheide Library, Princeton; The Biblioteca Nazionale, Rome; The Huntington Library, San Marino; Landesbibliothek, Stuttgart; and The Beinecke Library, Yale. The Migrant Manuscripts project explores the twentieth-century trade in medieval manuscripts through the lens of the Chester Beatty collection. The aim of the project is to trace the provenance of Chester Beatty’s manuscripts and identify where the books that were sold and given away are now to be found. The project examines the market for manuscripts in the twentieth century and the networks of dealers and collectors with whom Chester Beatty had contact. The project hosted a workshop in September 2015 on Chester Beatty and his manuscript collection. Details about the workshop are available here. The project is working on a handlist of the manuscripts that passed through the collection. The first part of that is list available here. Image: Chester Beatty Library MS W 61 f. 61, © The Trustees of the Chester Beatty Library, Dublin. This research is supported by an Irish Research Council Award, under the New Foundations Scheme 2014. Laura is Ussher Lecturer in Medieval Art at Trinity College Dublin. 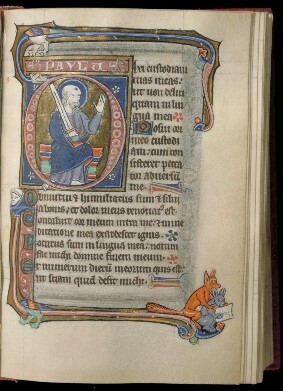 Her research concentrates on illuminated manuscripts, and she is particularly interested in material produced in England and France in the twelfth and thirteenth centuries. Danielle’s primary field of research is medieval literature, specializing in early English drama, economic criticism, manuscript studies and book history. Her doctoral thesis, Reading the Household: Towards an Economic and Textual Understanding of Early English Drama, was completed at the University of Washington. Her work for the Migrant Manuscripts project has a particular emphasis on the twentieth-century American trade in medieval manuscripts.